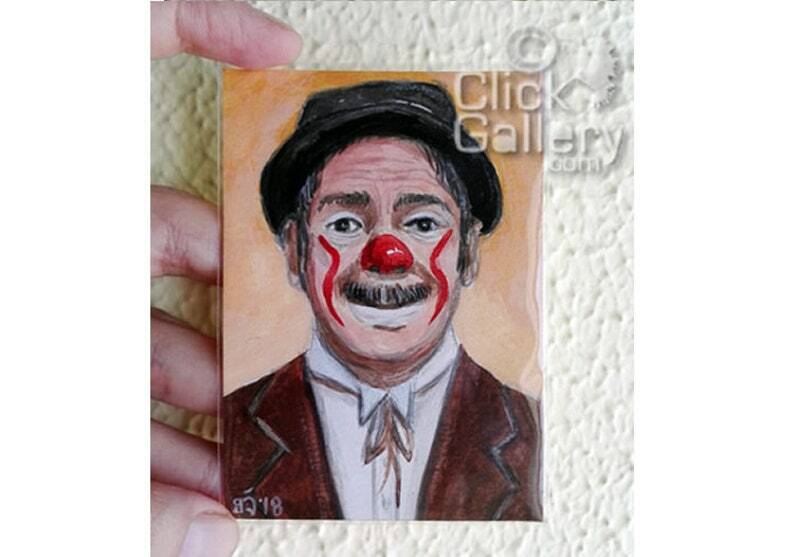 Clown #60 is homage to Achille Zavatta (1915-1993) a French clown, artist and circus operator. He was the son of Federico Zavatta, a circus owner. He started performing in his family's circus show at the age of three, forming with his brothers Michel and Rolph, the Zavatta Trio. To this day the Zavatta Circus tours France and surrounding countries, these performances include live tiger acts, which means the circus cannot tour Britain under the Animal Welfare Act. The circus is rated as a top show in France.